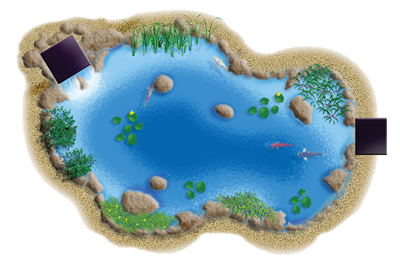 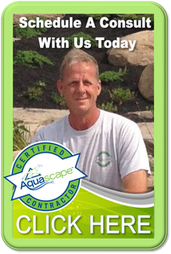 Eliminate the pond maintenance guesswork and routine of adding water treatments to your Rochester, Monroe County, NY pond, Pondless® Waterfall, fountain, or water feature. 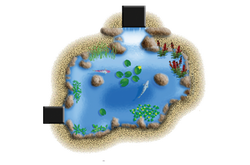 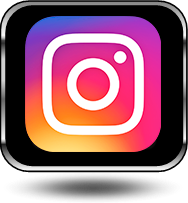 In order for water treatments to work correctly, or to maintain optimum water quality, water treatments should be added consistently and on a regular basis. 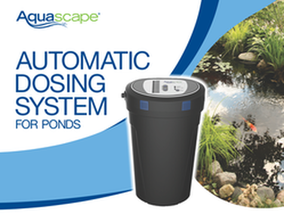 The Aquascape Automatic Dosing System accurately and consistently applies your choice of water treatment. 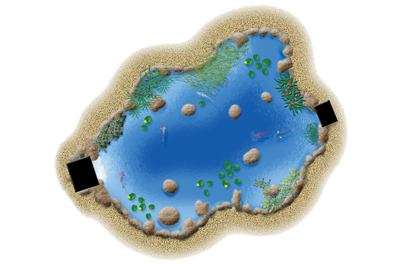 Large ponds or multiple ponds & water features will require more than one Dosing Unit, custom number of water treatments and follow-up service visits.